The sky’s the limit in Donations and Amazing Rewards! 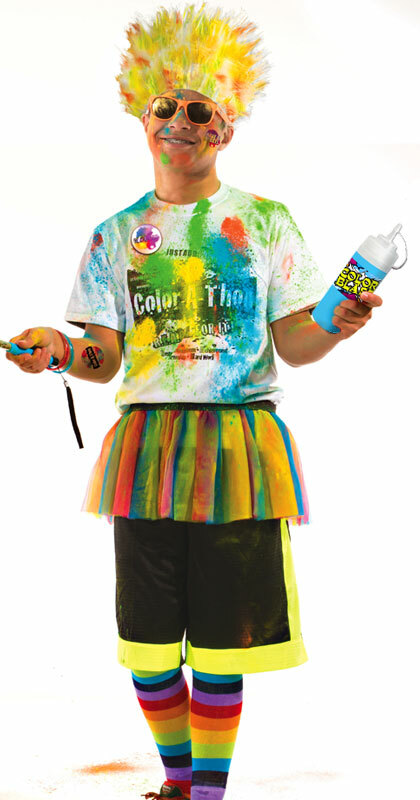 Our awards and incentive program is included with our Donation-Based and Entry Fee Color-A-Thon events! This is a great way to excite your group and get them in the spirit of participating and collecting donations. 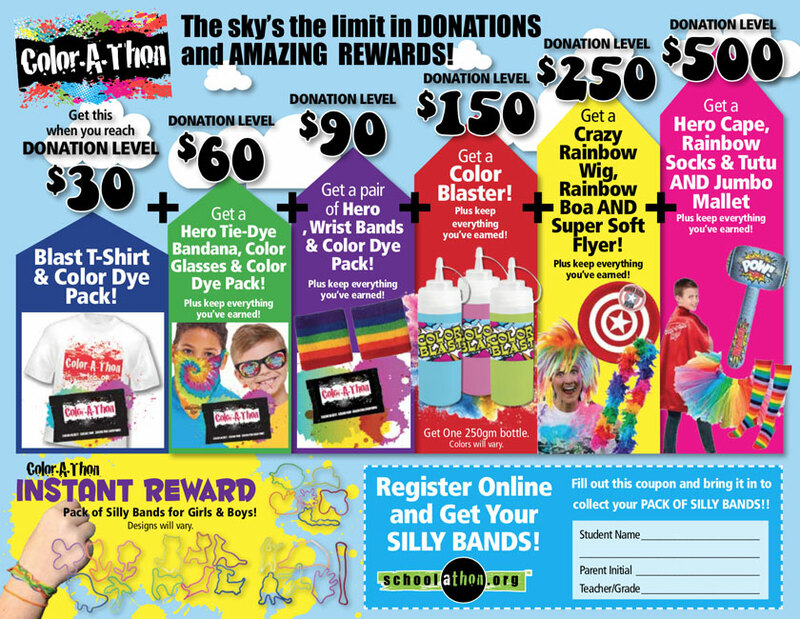 With each donation level achieved, students get extra color packs and outfit upgrades including Color Me Glasses, Tye-Dye Bandanas, Headband Crazy Hair, Color Blaster, Hero Capes, Rainbow Wigs, Tutu’s and so much more! Plus, all donation students will receive and instant reward for registering online! This is a great program, free of charge, to encourage kids to register for their event and start sharing with family and friends!